On Saturday afternoon I went ice skating at the BIC with two colleagues from work; Steve and Sima. 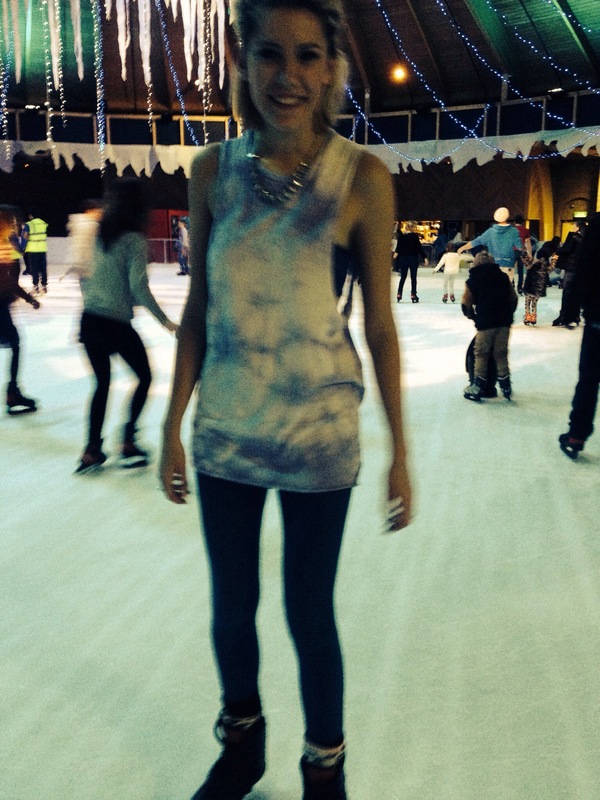 After watching a performance towards the end of last week of Peter Pan on Ice, I couldn’t wait to have a go at ice skating again. It has been a couple of years since I have been on the ice so I was a bit dubious if I would be able to pick it up again or if I would fall flat on my face. During my hour on the ice, I identified 5 groups of people you will find at an ice rink. Take note as these are the people you are going to want to avoid whilst skating. These are the guys who zoom around the place like they own the ice. They weave in and out of everyone spinning, skidding and generally just showing off. If your not careful they will knock you flying whilst trying to do a pirouette on the ice. Yes we all know you can skate better than the rest of us without falling over, but going at speed around ‘beginners’ is generally not going to end well. You can’t miss them. They are definitely a cause of concern. Arms and legs everywhere trying to flap their way across the ice. Give the flappers a metre radius around them and you’ll be fine but watch out as they like to chop and change direction every couple of seconds. You might see them spin out of control but let’s not mistake this with The Professionals, they definitely didn’t mean to do this, they are just spiralling out of control. Stay away. What is with them stupid penguins that children push around on the ice, these are the biggest obstacle on the ice. Even more annoying than The Flappers . Those things hurt when they hit you in the shins. As for the overprotective parents that go with the children, they are just a whole other story. I swear the penguin push along things do more damage than help, the amount of children I have seen fall over and smash their faces on them. It’s not nice. Can’t think of anything more annoying whilst trying to shift my body weight across a frozen slippery surface than a MASSIVE group of teenagers taking selfies in the middle of my path. I don’t know why they all feel the need to skate in a line across the ice rink holding hands. No one can get past, if one falls they all fall and it’s just a massive congestion. Watch out for this guy. There is always one person not paying attention and going completely the wrong direction to everyone else. You have to to anti clockwise. Not clockwise. Get it right. You’re setting yourself up for a fail mate, not only can you not skate but your attempting to spake into on coming rookie skaters. Sort it out. These are just a handful of the groups of people I witnessed on the ice. Let me know who you find on your trip to the ice rink.